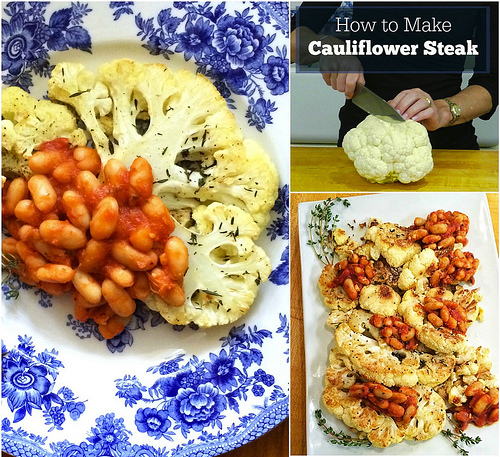 Have you ever wondered how restaurant chefs take cauliflower and turn it into “steaks?” It’s easy, and in this post I’ll show you how to make cauliflower steaks! 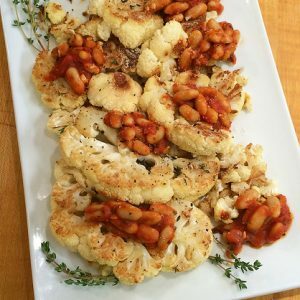 I’ll also serve up a protein-rich, vegetarian recipe for Cauliflower Steaks with White Beans that you and your kids will LOVE. 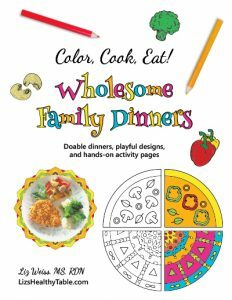 As a mom and a dietitian obsessed with getting my family to eat lots of veggies, I’m always on the lookout for fun new ways to serve them up. 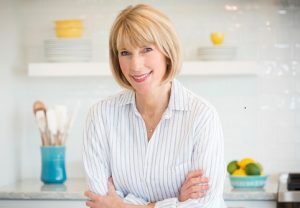 Janet Helm from Nutrition Unplugged recently wrote an excellent post titled, Veggie Hacks to Help Pump Up the Produce, and I believe my cauliflower-to-steak transformation counts as just that: a hack! Talk about an extreme steak makeover. This cauliflower steak with white beans is rich in protein, fiber, and big flavors, and it’s vegetarian — or vegan if you leave the cheese off. .
Preheat the oven to 425°F. 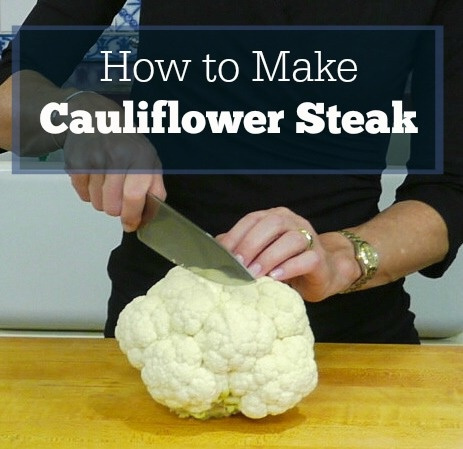 Place the cauliflower on the baking sheet, and brush the “steaks” and florets with 2 teaspoons of the oil. Sprinkle with a pinch of kosher salt and black pepper. Roast until lightly caramelized and the cauliflower is almost cooked through, about 18 minutes. Gently flip over each “steak” and floret and brush with 1 more teaspoon of the oil. Sprinkle with 1 teaspoon of the thyme, a pinch of salt and pepper, and roast until well caramelized and the cauliflower stems are cooked through, 10 to 12 minutes. Meanwhile, heat the remaining 1 teaspoon oil in a medium-size skillet over medium low heat. Add the garlic, and cook 30 to 60 seconds, stirring frequently, until golden and fragrant. Mix in the beans, marinara sauce, and the remaining ½ teaspoon thyme, and cook, stirring frequently, until heated through and bubbly, about 5 minutes. 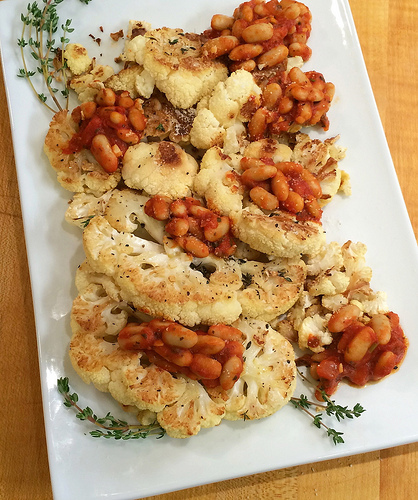 Top the cauliflower with the beans and serve. Sprinkle with Parmesan cheese as desired. 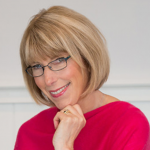 Thanks for sharing Janet’s veggie hacks resource. I’ll have to check it out. This recipe looks like a real winner!! I’ve tried cauli steaks but I didn’t roast them– I definitely think I need to try roasting them, isn’t that the answer to everything? I’m making this for my next vegan potluck gathering! I just love what roasting does to veges! I know what I want for dinner tonight! I have to try this – cauliflower has never been my fav veggie but I get it in my CSA and roasting is the way I like it best. I adore cauliflower steaks! They look so gorgeous on a plate. 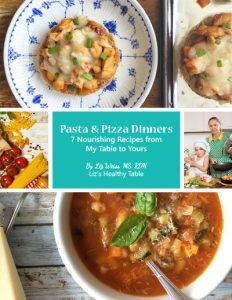 Love that idea – makes such a hearty looking presentation! Oh how delicious does this sound!?!!? I’ve actually never made cauliflower steaks myself, but I love this recipe so I’ll definitely have to try it out. Get a spiralizer, you won’t regret it! I know, Jess. 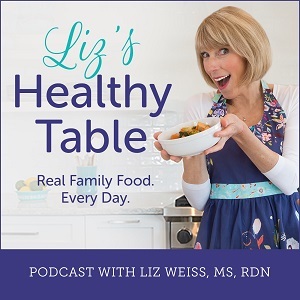 I MUST get a Spiralizer! Turned out great. The whole family enjoyed it. Thank you. Image posted on Instagram linked as website.